We deliver exceptional tree services to both domestic and commercial customers across Bristol. We’re a family-run firm of highly motivated tree surgeons and believe in a professional approach when it comes to arboriculture. Every tree surgeon in the Bristol Tree Services team is a trained arborist and all work is carried out to BS3998, using AFAG guidelines. We cover all aspects of tree surgery; from felling trees, sectional dismantles and targeted pruning. Bristol Tree Services are now qualified in the fitting and maintenance of rigid and flexible tree bracing. We are one of only a handful of properly trained Tree Surgery firms within the UK who have this qualification. Our friendly, Bristol-based team of tree surgeons have many years’ experience. We can help organise tree reports for mortgages, visual tree inspections and bird and bat surveys. We can also accommodate for your grinding and chipping requirements. Plus provide a pesticide spraying service when required. A tree surgeon (sometimes referred to as an arborist or arboriculturist) is responsible for the cultivation and management of trees. Professional tree surgeons in Bristol and across the UK typically focus on the health and safety of trees. 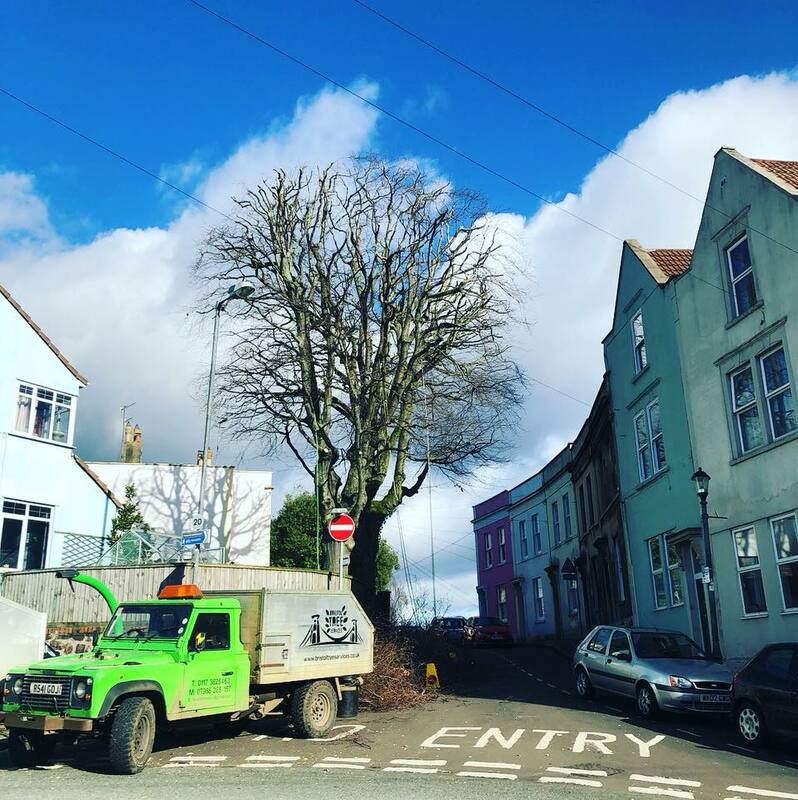 For the most part our team of Bristol tree surgeons work with trees in built up areas, ensuring they’re well cared for and safe for individuals who live and work near them. This can include reducing the height and spread of the foliage bearing portions of a tree, removing small or low hanging branches and also emergency tree surgery work. As you can in some of our blog posts, the emergency work we do often involves looking after trees have come down or been badly damaged in stormy weather. We are a highly skilled and vastly experienced team of tree surgeons. 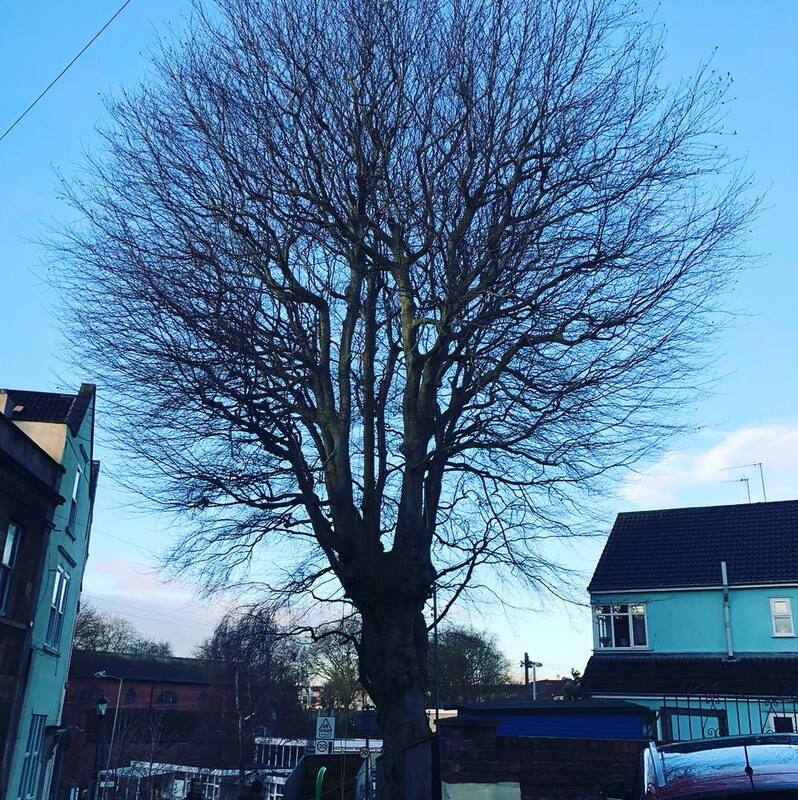 Each and every one of Bristol arborists has extensive knowledge of trees and their different characteristics. This knowledge means we’re able to provide correct advice and accurate quotes for all of our customers. Health and safety is of paramount importance when you’re a tree surgeon and here at Bristol Tree Services we take our job very serously. In the past decade, over 1,000 tree surgeons have been injured while at work. Sadly, there have also been a number fatalities during this time. When it comes to the health and safety of our team we take considerations around working on the ground, working at height and safely operating chainsaws. As you can imagine combining the last two points can cause a potentially very dangerous situation. Not only for the tree surgeon undertaking the work, but also anybody in close vicinity of the tree that’s being worked on. In the wrong hands a chainsaw can be a dangerous power tool, capable of inflicting very serious injury. We take special care of all our power tools to ensure they’re always working as intended and ready to go when required by one of our tree surgeons. A tree surgeon working for Bristol Tree Services will always test any equipment they’re going to use before starting each and every job. Every member of our team also wears personal protective equipment (PPE). 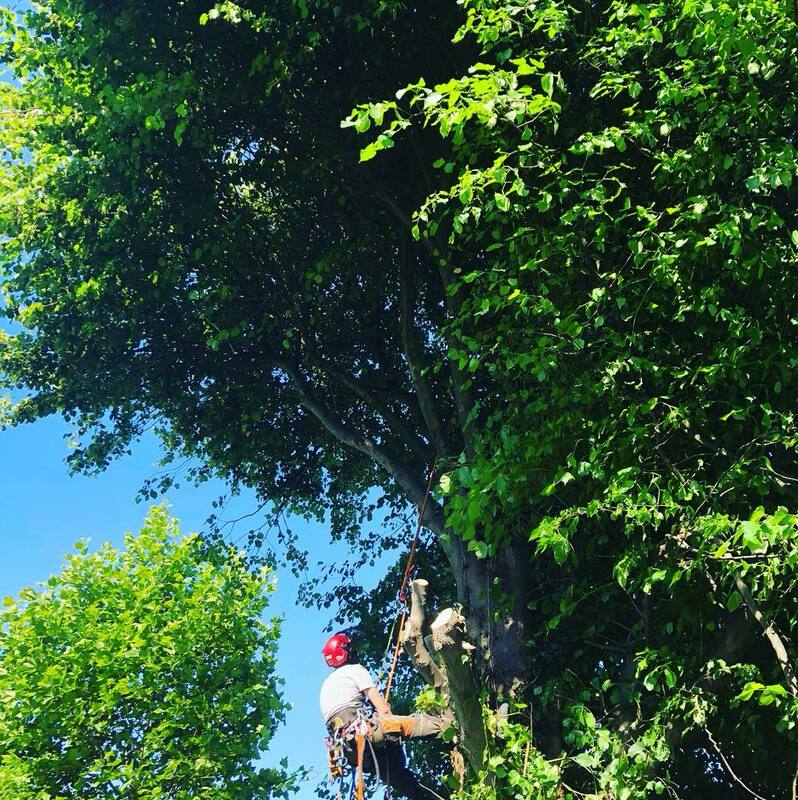 Our tree surgeons use the following PPE during all tree work: safety helmet, hearing protection, eye protection, gloves, leg and groin protection and chainsaw boots. Falling from a great height is another occupational hazard a tree surgeon must contend with on a daily basis. A recent survey stated that 16% of all tree work accidents involve some form of a fall. The term is wide ranging and is defined as ‘height from which people could fall and injure themselves’. In 2005 the UK saw the introduction of the Work at Height Regulations which is something all employees and contractors must now follow. The regulations give a set of guidelines to follow to ensure any work that’s completed at height is done as safely as possible. 1. Making sure any work is considered, planned and organised before being undertaken. 2. Assessing for any potential risks. 3. Safely supervised by members of staff acutely aware of their responsibilities. 4. Carried out using the correct equipment. At Bristol Tree Services, we carefully consider all of the above. This ensures our team and any individuals close by are safe while we’re working. Gaining access to the tree or area where we intend to work can often be a tricky part of the puzzle. Not least because large parts of Bristol are built up residential areas and the majority of modern houses are built without outdoor access to the garden. Working on certain trees or at particular sites can become an issue for this very reason. However, the Bristol Tree Services team love a challenge, With good team work, helpful customers and the occasional bit of support from a neighbour we usually find a solution that works. Sometimes working on the tree itself can cause the tree surgeon an issue. This usually happens when a tree is located in a confined space. In this scenario specialist techniques are often needed to remove problematic branches and thin the crown of the tree. The Bristol Tree Services team have lots of experience working in potentially tricky situations and pride ourselves on our ability to solve problems. It’s hard to miss the Bristol Tree Services team when we’re out and about. We have several specially converted, bright green Land Rover Defenders ready to tackle your tree surgery challenges. In the UK we have a strong DIY culture. When this ‘do it yourself’ ethos is combined with Internet tutorials that cover anything and everything. some individuals can be tempted to give tree surgery a go themselves. Alongside the obvious safety concerns of scaling a tree with a whirring chainsaw if you haven’t done before, there are other reasons why it’s best to leave tree surgery to a trained tree surgeon. As well as knowledge of the correct safety procedures there’s also a good chance you won’t have the correct equipment to carry out tree surgery yourself. Our team of tree surgeons are highly-skilled when it comes to using different pieces of specialised equipment. Alongside chainsaws we also use shredders, wood chippers, strimmers, hedge cutters, ropes and harnesses to complete our work. Crown lifting can refer to one of two things. The first is ‘lifting’ the tree by removing the lowest branches on the tree in question. The second is preparing the lower branches of the tree for ‘lifting’ in the future. You may also hear crown thinning referred to as crown raising and the two terms are used interchangeably. 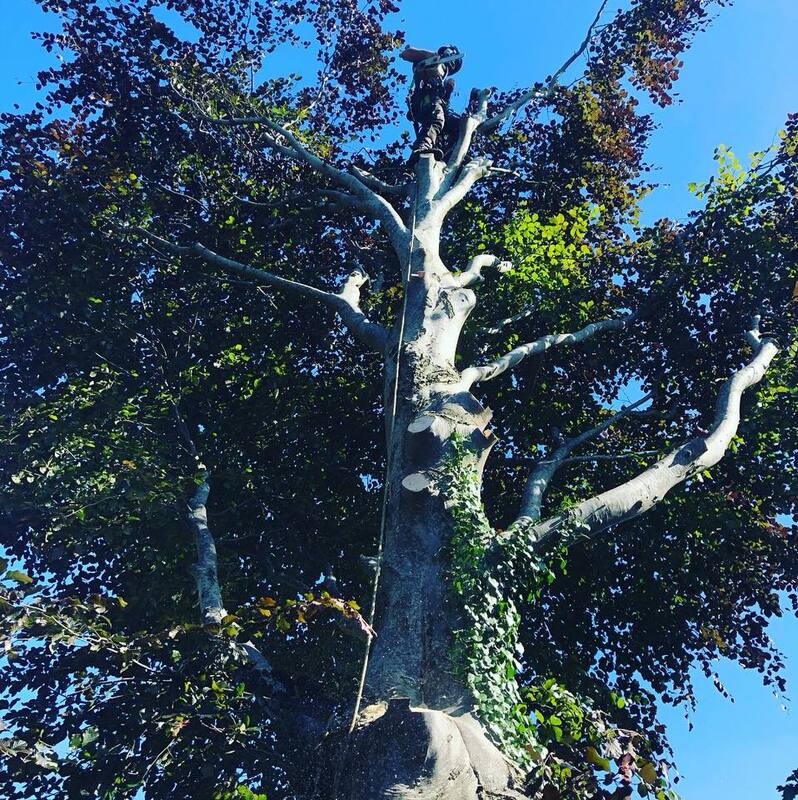 When it comes to crown lifting skilled tree surgeons normally follow best practice of leaving the large branches that grow out directly from the trunk of the tree. The reason? These can cause large wounds which can lead to extensive decaying and serious issues down the line. Crown lifting is an excellent way of increasing light transmission to areas closer to the tree or to enable access under the crown. When deciding to go ahead with crown thinning, it’s a good idea to have a specified fixed point agreed i.e. crown lift should give 4 metres clearance above ground. In recent years the South West seems to have been brushed, battered or hit by at least one serious storm every winter. This can not only prove problematic for the odd roof tile but also trees of all shapes and sizes. Alongside the regular residential and commercial tree work we undertake across the year we also operate a 24-hour call out service for emergency tree work 365 days of the year. This winter alone our tree surgeons have helped a number of clients remove damaged trees that have fallen or been damaged in potentially problematic locations. 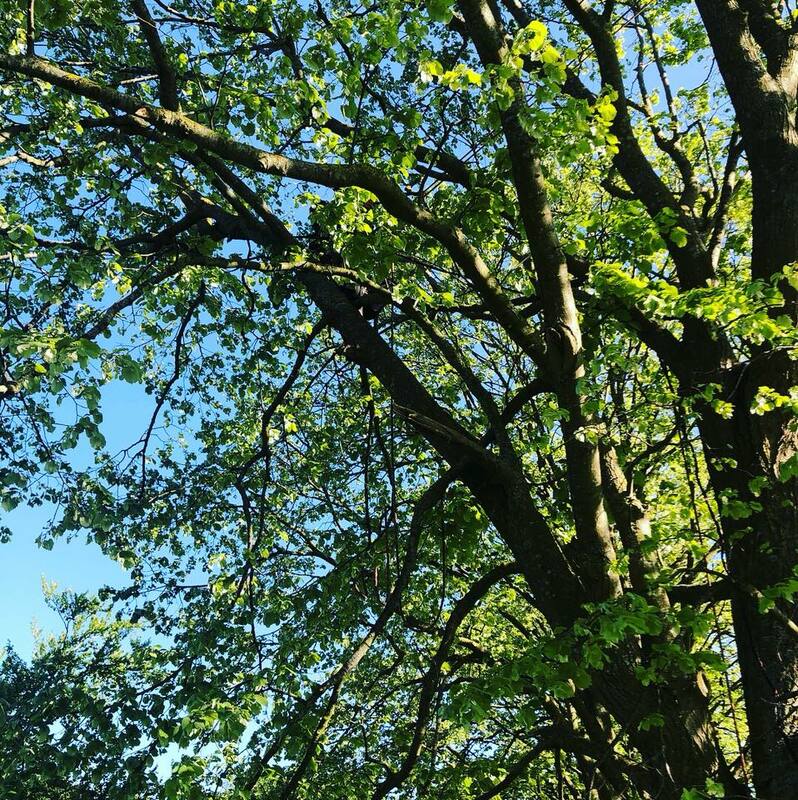 Alongside the residential tree surgery and emergency tree works we offer we also work alongside a number of the UK’s leading tree services companies. In recent years’ we’ve worked for a large number of organisations throughout the UK. These include, but are not limited to BUPA, Bristol City Council, Wilson Homes and Taylor Wimpy. Aside from the excellent standard of work we deliver commercial clients also come back to us for peace of mind. We’re insured up to £5 million for public liability, produce method statements, complete our own risk assessments and all of our staff are trained in emergency first aid. The crown is the foliage bearing portion of a tree. A tree reduction focuses on reducing the height and/or spread of the crown. It is normally done to either reduce mechanical stress on individual branches, or the tree as a whole. Other reasons for a tree or crown reduction is to make the tree more suitable for it’s immediate environment. It can also be done to reduce the effects of shading and light loss, etc. Done correctly by a skilled tree surgeon a tree reduction should see the main framework of the crown retained. It’s important to remember that crown reduction cuts should be as small as possible and ideally should not exceed 100mm diameter. Tree surgery isn’t the only service we offer our residential and commercial customers. We also offer hedge trimming services. Whether you’re looking to reduce and tidy or remove a troublesome hedge we can help. We believe strongly in innovation and taking tree surgery into the future. This is why, as a team of tree surgeons, we invest in the latest technology and new machinery. We recently purchased a Billy Goat lawn vacuum to help us remove as many trimmings as possible post hedge trimming job and the machine is ideally suited for UK conditions. It’s lightweight and nimble, meaning our team are able to quickly and efficiently clean even a large garden or green space. Unfortunately, sometimes due to age, size, location or decay it becomes necessary to remove a tree. Typically, a highly-skilled and experienced tree surgeon is the best person to make the decision. If it becomes apparent that this is the only option you can be assured that we have invested time and money in the latest training and technology to make this as safely as possible. As a team, we’ve also undertaken the necessary NPTC qualifications in big tree felling, rigging and wood processing. After a tree surgeon has cut a tree to ground level and all the pieces that can be removed by conventional means have been, you’re left with tree stump. At this point we use a special machine to shred and grind the stump down. At Bristol Tree Services we use our own stump grinders and only highly-trained tree surgeons. We never outsource or hire machinery, meaning we’re able to offer customers very competitive quotes. When a tree surgeon talks to you about crown thinning they’re referring to the removal of some smaller branches, typically located on the outer crown of the tree. Crown thinning is not appropriate for all trees and is typically confined to broad-leaved species. Using their our tree surgeons will be able to tell you whether or not the tree you’re discussing would benefit from crown thinning. Should it be decided that crown thinning is the way to go then the Bristol Tree Services team will get to work. The aim of crown thinning is to produce a consistent density of foliage around an evenly spaced branch structure. It’s important to note that this process does not alter the overall size or shape of the tree – it is instead focused on creating an even density.